With lush green islands protected by the Great Barrier Reef, calm seas and balmy tradewinds, the Whitsundays is a sailor’s paradise. The Whitsunday Islands are tucked between the tropical coast of Queensland and the Great Barrier Reef so the sea stays calm while the balmy tradewinds are perfect for sailing. 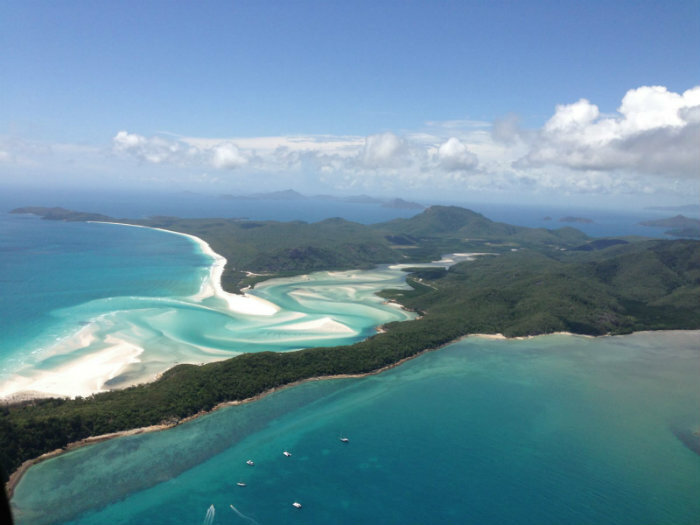 No wonder the magical Whitsundays are renowned as the finest region in Australia for sailing. The Whitsunday Islands are part of the Great Barrier Reef Marine Park. Most of the 74 islands are uninhabited pristine national parks, but there are over 7 island resorts where visiting yachtsmen are welcomed ashore. Secluded anchorages are seldom more than 1 hour apart. Go snorkelling over dazzling reefs, walk on lonely beaches, hike on bush tracks or go whale watching from July to December. 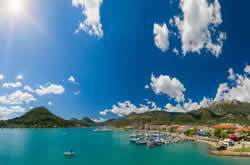 Nautilus Yachting can package your yacht charter with flights from the UK or add a yacht charter to your existing holiday plans. 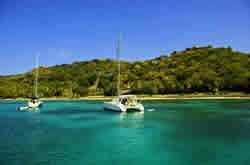 Why not add a week’s sailing in the Whitsundays to your trip “down under”. Area and boat briefing at Airlie Beach Marina. Lunchtime departure for Nara Inlet where you can explore waterfalls, Aboriginal caves and ancient rock paintings. Sail across the Whitsunday Passage to Cid Harbour or Gulnare Inlet (14nm). Quiet and peaceful with wonderful wildlife, bush walks and delicious rock oysters. Cid Harbour is a very large harbour and one of the all weather anchorages of the Whitsundays. 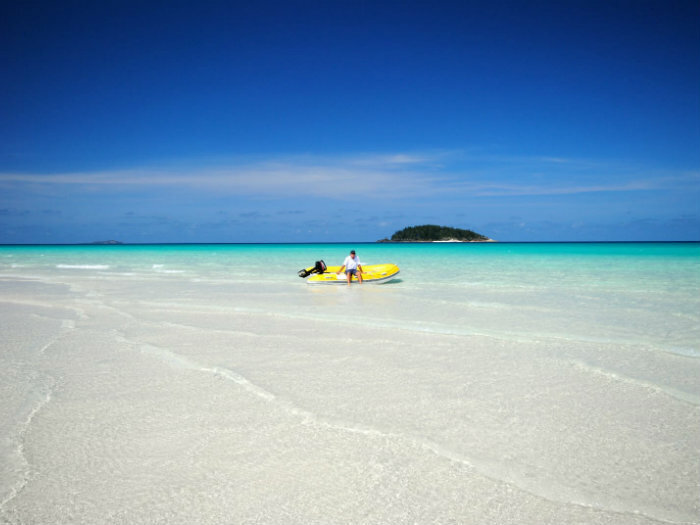 Set sail for spectacular Whitehaven Beach and enjoy miles of soft, white silica sand beaches.Whitehaven is one of the most beautiful beaches in the world. If Whitehaven is crowded, anchor at Chalkies which also has a magnificent beach. Cruise over to Hamilton Island for fresh supplies or to top up water tanks. Experience a change of pace in the busy marina and a choice of restaurants and bars. Reach up to Cateran Bay on Border Island for great snorkelling. Border Island is one of the outlying Islands and reef protection buoys have been installed to prevent further damage to the island's excellent fringing reef. Short sail to Butterfly Bay on Hook Island. Use the dinghy for more snorkelling or onshore visits. The reef and sand beaches here offer excellent exploring. Watch out for Sting rays when you walk on the sand flats (shuffle your feet). Take a leisurely cruise around the Hayman Island area or southwards across the Whitsunday Passage to South Molle Island or Palm Bay to celebrate the last night of a great cruise! We arrived into Airlie Beach the day prior to our charter after flying from Brisbane to Prosperine with Jetstar. The flight took 1.5 hours and we admired the green tropical landscape as we were coming in to land. There were numerous taxis outside the airport so we jumped in and took the 30 minute car ride to Airlie Beach at a cost of $22 per person. We had booked to stay at the Mantra Croc Hotel which is just a 10 minute walk to Abell Point Marina. 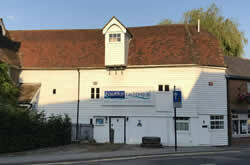 It was a nice hotel in a good location and would recommend it for a pre or post charter stay. We woke early and walked to Abell Point Marina where the Dream Yacht Charter office was very easy to find and the staff were lovely. Our skipper “Pete” was already on board checking that everything was in order so we headed to Coles supermarket to do our provisioning. It was incredibly easy and economical. Hamilton Island is the only place you can pick up more provisions so it's best to have everything you need from the offset. Suitcases were left at the base and just small bags taken onboard which saved a lot of space. After a talk with Pete about the plans for the week we headed off about 1pm towards Cid harbour. It was a choppy ride and rained quite hard all the way (just coming out of wet season). It gets dark early in Australia (5pm in May), so we dropped anchor and spent the evening chatting and relaxing. After breakfast and a quick walk to the next bay to stretch our legs we set off for Hamilton Island just 8nm away as the weather was still quite rough. 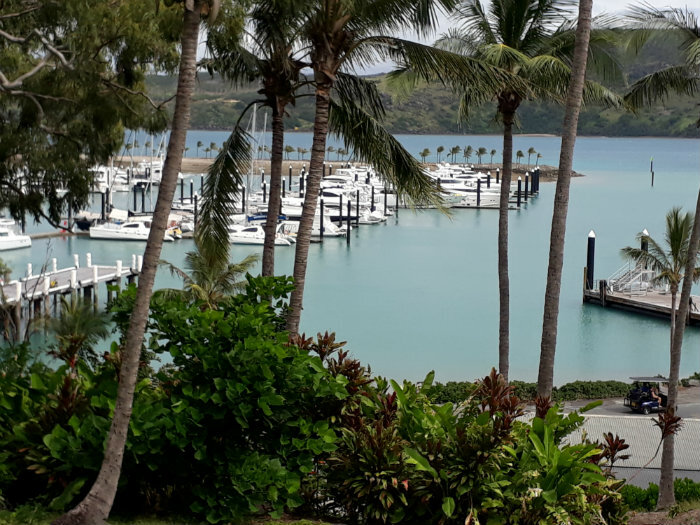 If you want to stay a night in the marina at Hamilton Island you need to book in advance and the Dream office will do this for you ($135/night or $20/hour if just stopping for lunch). It is the only island in the Whitsundays that has bars, restaurants and shops. The marina hosts some incredible superyachts and has a large supermarket and great free showers. The island is car free but you can hire a golf buggy to get around. We took a walk over to the other side of the island and sat on the beach for a while before going back to the boat for something to eat. We were very fortunate that Pete enjoyed cooking and threw toegther some delicious meals on the BBQ. Usually skippers do not cook! 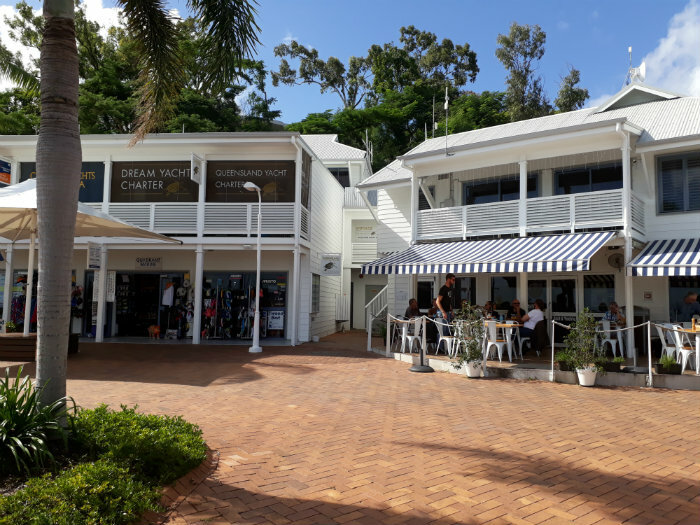 Before heading out of Hamilton Island (you have to leave by 11am latest) we took a walk to the local bakery, close to the marina, and had something to eat and a coffee. 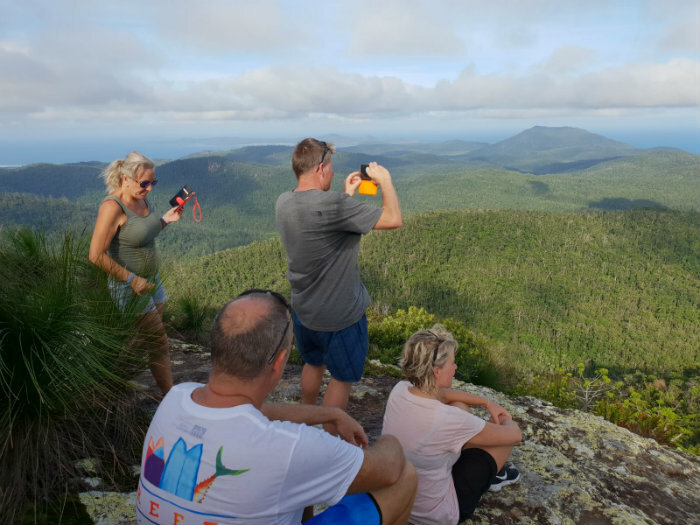 Pete had told us about a 'must do' walk from Cid Harbour that takes around 3 and a half hours so we thought it was ideal opportunity to go back to Cid Harbour, get off the boat and get some much needed exercise. We were warned the walk was challenging and after the first half hour of steadily climbing the endless steps we realised that Pete was right, it was definitely challenging BUT it was SO worth the effort once we got to the top. It is the highest point in the Whitsunday Islands and you can see for miles. We spent a while relaxing and taking in the beautiful view before making the much easier walk back down to the beach. The day we had been waiting for - Whitehaven Beach! The sun was shining and we were finally seeing the Whitsundays at their absolute best. The beaches were pristine with white sun bleached sands and the sea was clear blue. We left Cid harbour at 6am so we could enjoy breakfast at Whitehaven Beach without the crowds. This is one of the most beautiful places I have ever been to and I was sharing it with only a handful of people. After breakfast we motored round to Tongue Bay which took around 15 mins. We then walked the 20 minutes through the bush to get to the famous "Hill Inlet" lookout point. The view was spectacular and definitely one of the highlights of our trip. Tongue Bay offers a secure anchorage and is great for spotting turtles and swimming. Our final day and Pete was keen for us to see the stingrays. We motored around to the northern end of Hill Inlet and Whitehaven Beach where he knew the stingrays would be. After dropping us off on a deserted point of the beach, he left us to wander along the beautiful sands one last time before setting off to “Honeymoon Island”. We arrived at Windy Bay, via Chalkies Beach (great beach for snorkeling & quieter than Whitehaven) and dropped anchor. The coral reef here is more visible so we stopped for a couple of hours, put our stinger suits on and snorkeled for the first time. Back at Airlie Beach it was time for a warm shower before heading out for dinner with Pete at Sorrento's Italian restaurant to say thank you for making our trip so special. A truly memorable charter with stunning sights that cannot be seen anywhere else in the world. Situated on the same latitude as Tahiti, you can expect sunny tropical weather all year round, with temperatures seldom below 20°C even in the winter months. The South-east trade winds usually blow slightly stronger from March to May at about 20 knots. Lighter E-NE breezes September-December. July is the coolest time, January the warmest. British Airways, Virgin Atlantic and Qantas have direct flights to Sydney. Jetstar and Virgin Blue operate onward connections to Proserpine. 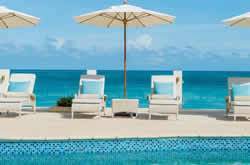 We can arrange transfers for you with the base in Airlie Beach. Transfers take approximately 45 minutes. Please ask a member of staff for pricing. "Just to let you know we had a fantastic sailing holiday. The yacht was superb, Dream Yacht charters are very professional and efficient, the weather was perfect, blew a steady 4-5 every day and there was nobody else there! We sailed to Guadelope which was a highlight. Thanks very much for all your help. " FREE end cleaning, dinghy with outboard, bedlinen & towels, snorkel gear.